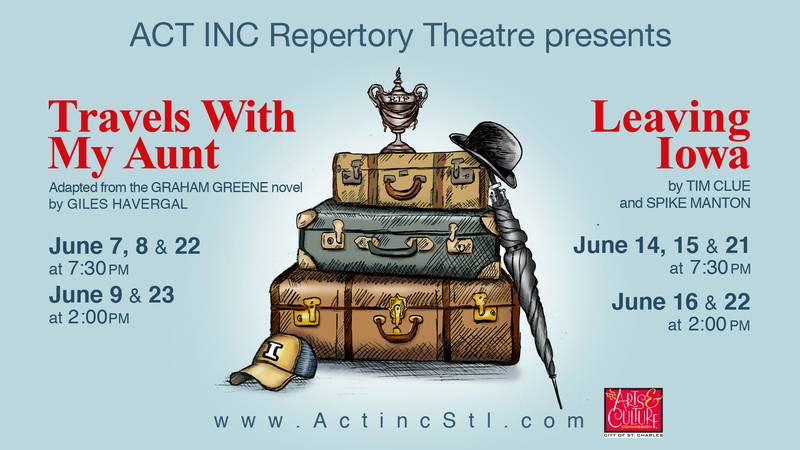 ACT INC will be returning to Lindenwood University this summer to present two productions: Travels with My Aunt (June 7, 8, 9, 22, 23) and Leaving Iowa (14, 15, 16, 21, 22). Buy Tickets to Travels with My Aunt Online Here! Retired bank manager, Henry Pulling's life is so quiet that he muses, "I found myself agreeably excited by my mother's funeral." From that inauspicious beginning Henry finds his life turned topsy turvy by the arrival of his eccentric, Aunt Augusta. A cross between "Auntie Mame" and Mata Hari, she spirits him around the globe encountering all sorts of intoxicating characters and exhilarating adventures along the way. You won't want to miss as four talented actors portray Aunt Augusta, Henry and all manner of mad-cap personalities. This is a production that will have you rolling in the aisles and on the edge of your seat! Buy Tickets to Leaving Iowa Online Here! Remember the family road trip? Sure do! Mom, Dad and the kids all packed up in the car with maps and snacks. Road games, billboards, gift shops and the ultimate rest stops and Motel 6. Giggles and battles, smiles and tears. Those were the days! Columnist, Don Browning, decides to bury his Dad's ashes at the old family farm. When he discovers that the homestead is now the site of a supermarket he embarks upon a journey of reconciliation and discovery in his quest for the perfect resting place for Dad in the middle of the USA. If you are interested in the perfect "staycation" look no further. Leaving Iowa is a delightful "postcard" that will leave you with a smile on your face and a spring in your step. Tickets on sale beginning March 4 at the Scheidegger Center Box Office, 636-949-4433. 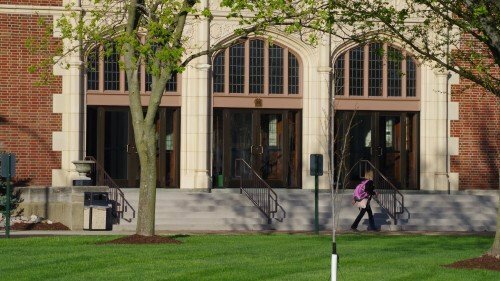 Office hours are Monday - Friday, 9:00 a.m. - 5:00 p.m. Tickets are also available online. ACT INC is Lindenwood University's summer resident theatre company. To learn more about ACT INC please visit their website: Click Here!